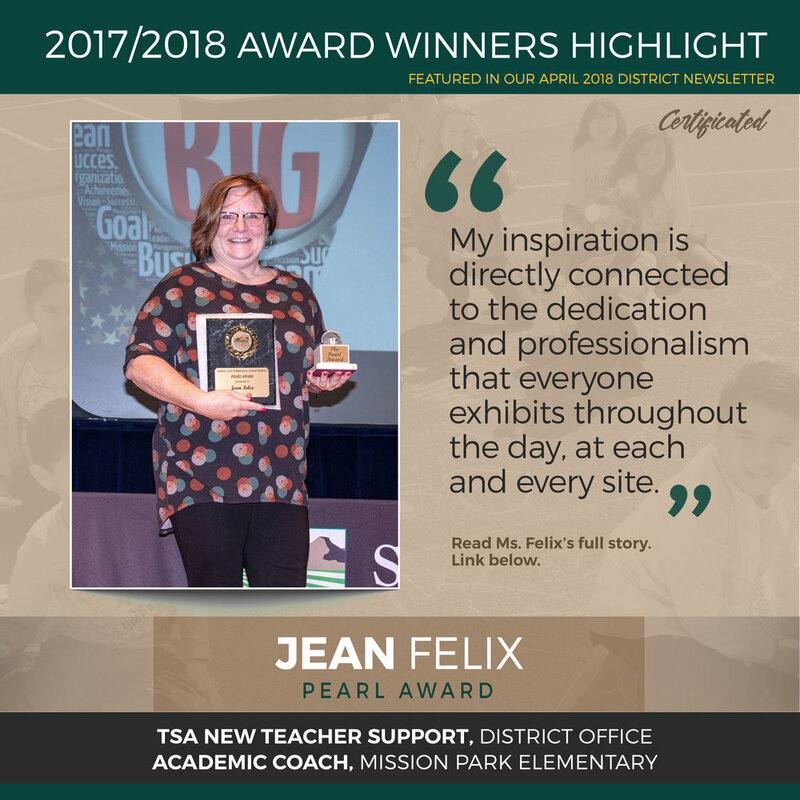 For our third and final interview for Part 3 of a 3-part series, we spoke with Pearl Award Winner, Jean Felix. The school district was highly regarded when I started teaching and I desired to be a part of the team. I wanted to educate students from diverse demographic and cultural communities. The smiles and enthusiasm of our students keeps me motivated. My inspiration is directly connected to the dedication and professionalism that everyone (classified and classified) exhibits throughout the day, at each and every site. This desire to make a difference is what inspires me to be better, to be supportive and to be the best person I can be. This award is very humbling for me; there were so many amazing people who were nominated for the Pearl. I am also extremely honored because I feel valued and appreciated for my dedication to my profession. Working with so many wonderful people! Remember you are educating someone’s child and someday that child will be an integral part of our community. Treat everyone (students and coworkers) with respect and honor, build relationships and don’t be afraid to take a risk.